Vinification Deion: Manual harvest and selection of the grapes; destemming followed by slow must fermentation at a controlled temperature and gentle agitation of the must in stainless steel tanks; malolactic fermentation and aging in barriques for 18 months using one third new barrels; blending three months before bottling. Perfect with pink roasted saddle of venison in a walnut crust with root vegetables and red cabbage, rib of beef braised in Lagrein with mixed polenta and baby vegetables, or braised calf's cheek with Lagrein sauce on celeriac foam. "Wine & Spirits Magazine" has rated the wine "Cantina Terlano-Kellerei Terlan 'Porphyr' Lagrein Alto Adige Riserva, Trentino-Alto Adige, Italy" the vintage 2013 on 01.10.2016 with 92 of 100 points. "Falstaff Magazin" has rated the wine "Cantina Terlano-Kellerei Terlan 'Porphyr' Lagrein Alto Adige Riserva, Trentino-Alto Adige, Italy" the vintage 2013 on 06.07.2016 with 92 of 100 points. "Wine Enthusiast" has rated the wine "Cantina Terlano-Kellerei Terlan 'Porphyr' Lagrein Alto Adige Riserva, Trentino-Alto Adige, Italy" the vintage 2016 on 07.01.2016 with 90 of 100 points. "Falstaff Magazin" has rated the wine "Cantina Terlano-Kellerei Terlan 'Porphyr' Lagrein Alto Adige Riserva, Trentino-Alto Adige, Italy" the vintage 2012 on 23.06.2016 with 92 of 100 points. "Vinous Antonio Galloni" has rated the wine "Cantina Terlano-Kellerei Terlan 'Porphyr' Lagrein Alto Adige Riserva, Trentino-Alto Adige, Italy" the vintage 2012 on 01.05.2016 with 94 of 100 points. "Vinum Wine Magazine" has rated the wine "Cantina Terlano-Kellerei Terlan 'Porphyr' Lagrein Alto Adige Riserva, Trentino-Alto Adige, Italy" the vintage 2016 on 01.02.2016 with 17 of 20 points. "Falstaff Magazin" has rated the wine "Cantina Terlano-Kellerei Terlan 'Porphyr' Lagrein Alto Adige Riserva, Trentino-Alto Adige, Italy" the vintage 2016 on 24.06.2014 with 90 of 100 points. "Falstaff Magazin" has rated the wine "Cantina Terlano-Kellerei Terlan 'Porphyr' Lagrein Alto Adige Riserva, Trentino-Alto Adige, Italy" the vintage 2010 on 05.07.2013 with 92 of 100 points. 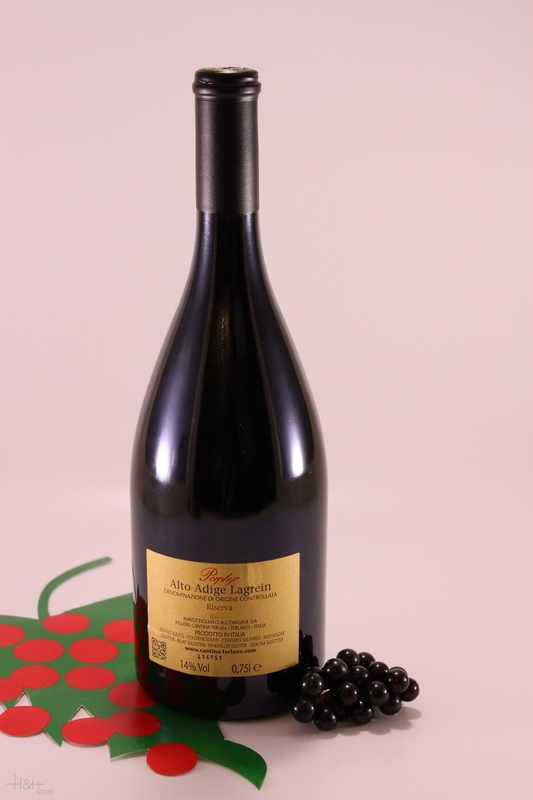 "Vinous Antonio Galloni" has rated the wine "Cantina Terlano-Kellerei Terlan 'Porphyr' Lagrein Alto Adige Riserva, Trentino-Alto Adige, Italy" the vintage 2009 on 01.05.2013 with 93 of 100 points. "Falstaff Magazin" has rated the wine "Cantina Terlano-Kellerei Terlan 'Porphyr' Lagrein Alto Adige Riserva, Trentino-Alto Adige, Italy" the vintage 2009 on 12.10.2012 with 92 of 100 points. "Wine Spectator" has rated the wine "Cantina Terlano-Kellerei Terlan 'Porphyr' Lagrein Alto Adige Riserva, Trentino-Alto Adige, Italy" the vintage 2008 on 31.07.2016 with 90 of 100 points. "Falstaff Magazin" has rated the wine "Cantina Terlano-Kellerei Terlan 'Porphyr' Lagrein Alto Adige Riserva, Trentino-Alto Adige, Italy" the vintage 2008 on 13.07.2016 with 92 of 100 points. "Vinum Wine Magazine" has rated the wine "Cantina Terlano-Kellerei Terlan 'Porphyr' Lagrein Alto Adige Riserva, Trentino-Alto Adige, Italy" the vintage 2008 on 01.05.2016 with 16 of 20 points. "Vinous Antonio Galloni" has rated the wine "Cantina Terlano-Kellerei Terlan 'Porphyr' Lagrein Alto Adige Riserva, Trentino-Alto Adige, Italy" the vintage 2008 on 01.02.2016 with 92 of 100 points. 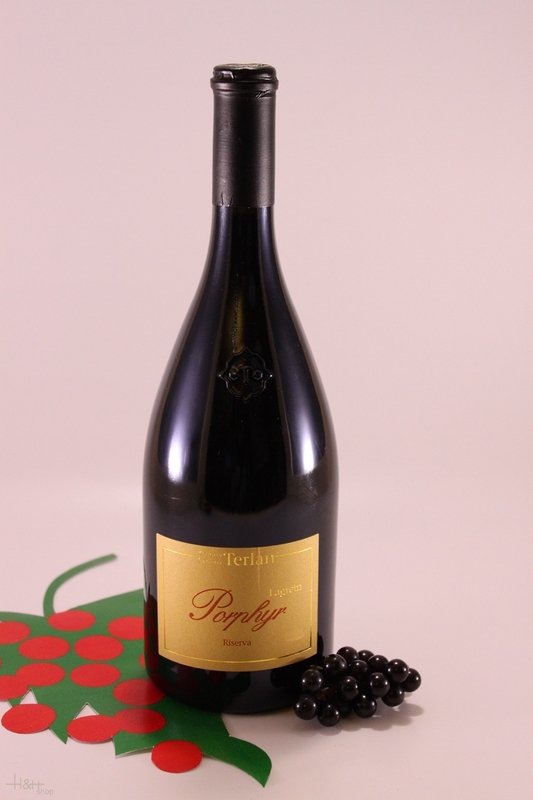 "Falstaff Magazin" has rated the wine "Cantina Terlano-Kellerei Terlan 'Porphyr' Lagrein Alto Adige Riserva, Trentino-Alto Adige, Italy" the vintage 2007 on 15.09.2010 with 92 of 100 points. "Wine Spectator" has rated the wine "Cantina Terlano-Kellerei Terlan 'Porphyr' Lagrein Alto Adige Riserva, Trentino-Alto Adige, Italy" the vintage 2004 on 31.08.2008 with 91 of 100 points. "Wine Spectator" has rated the wine "Cantina Terlano-Kellerei Terlan 'Porphyr' Lagrein Alto Adige Riserva, Trentino-Alto Adige, Italy" the vintage 2003 on 30.06.2007 with 90 of 100 points. "Wine Enthusiast" has rated the wine "Cantina Terlano-Kellerei Terlan 'Porphyr' Lagrein Alto Adige Riserva, Trentino-Alto Adige, Italy" the vintage 2004 on 09.01.2007 with 90 of 100 points. "Vinum Wine Magazine" has rated the wine "Cantina Terlano-Kellerei Terlan 'Porphyr' Lagrein Alto Adige Riserva, Trentino-Alto Adige, Italy" the vintage 2003 on 01.04.2006 with 17 of 20 points. "Vinum Wine Magazine" has rated the wine "Cantina Terlano-Kellerei Terlan 'Porphyr' Lagrein Alto Adige Riserva, Trentino-Alto Adige, Italy" the vintage 2000 on 01.03.2004 with 16 of 20 points. "CellarTracker" has rated the wine "Cantina Terlano-Kellerei Terlan 'Porphyr' Lagrein Alto Adige Riserva, Trentino-Alto Adige, Italy" the vintage 2008 with 92 of 100 points. "Stephen Tanzer" has rated the wine "Cantina Terlano-Kellerei Terlan 'Porphyr' Lagrein Alto Adige Riserva, Trentino-Alto Adige, Italy" the vintage 2007 with 92 of 100 points. "CellarTracker" has rated the wine "Cantina Terlano-Kellerei Terlan 'Porphyr' Lagrein Alto Adige Riserva, Trentino-Alto Adige, Italy" the vintage 2003 with 91 of 100 points. "Stephen Tanzer" has rated the wine "Cantina Terlano-Kellerei Terlan 'Porphyr' Lagrein Alto Adige Riserva, Trentino-Alto Adige, Italy" the vintage 2001 with 91 of 100 points.